A hands-on cooking class culminating in a family-style dinner with wine. Books will be available for purchase. We are excited to welcome author and illustrator Johanna Kindvall to our classroom! 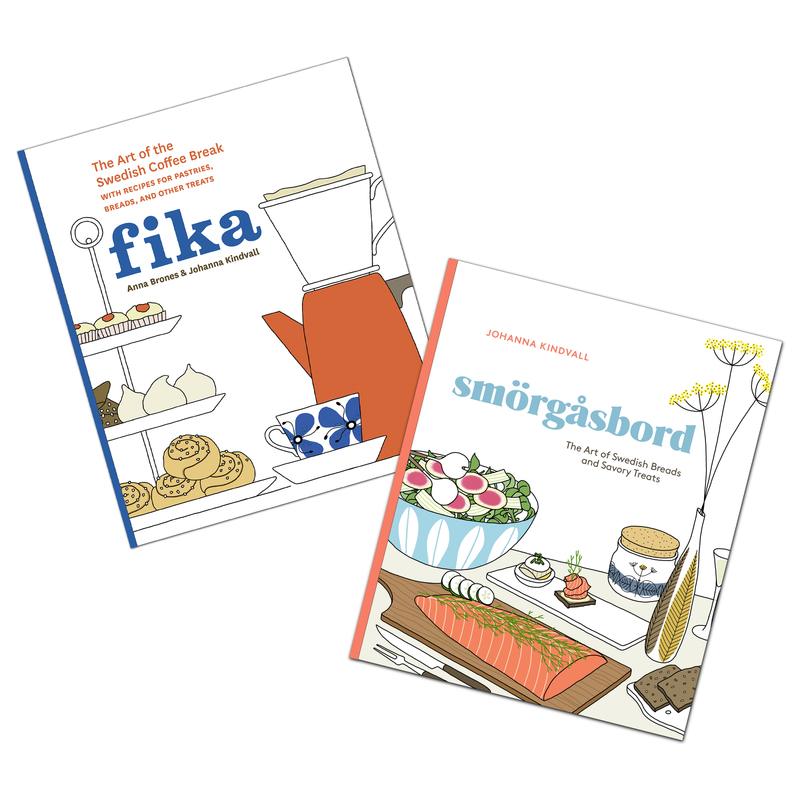 Visiting from New York, Johanna will guide students to create a whole Scandinavian meal, featuring recipes from her two books, Smörgåsbord and Fika. In this interactive class, you'll learn the art of Swedish open-faced sandwiches, as well as the art of fika, the Swedish coffee break that happens at least once a day. To encourage you to take these Swedish customs into your lives in the Bay Area, Johanna will teach you how to make knäckebröd from scratch, to quick pickle, to make Swedish meat patties (a more grown-up form of the Swedish meatball), and to make kladdkaka, the simplest chocolate cake that most Swedes know by heart. The Parisian (open faced burger): Beef and pickled beet patty on toasted sourdough bread with a fried egg, horseradish relish, and pickles. We are hosting two classes in March 2019 with Johanna. To review the other class, click here. Johanna Kindvall is a Swedish cook and food illustrator based in Brooklyn. She is the author & illustrator of Smörgåsbord: The Art of Swedish Breads and Savory Treats (Ten Speed Press, 2017) and co-author of Fika: The Art of the Swedish Coffee Break (Ten Speed Press, 2015). In 2005, she created her illustrated cooking blog, Kokblog where she shares illustrated recipes of the things she cooks at home. Johanna loves sharing the flavors of Scandinavian food traditions and for the last few years she teaches baking and cooking at places like Archestratus in Brooklyn and COOK in Philadelphia. Her illustrated work has been featured in various books and magazines all over the world. If she is not drawing, she is in the kitchen baking.